AUD 2,932 Excl. Duties / Taxes. This Triangular diamond is 1.2 carat in weight, and comes with Very Good polish and Very Good symmetry, as verified from an independent gemological laboratory. The diamond is graded L in colour, and has a clarity grade of SI1. The diamond's IGI grading report number is 310873635, which will detail further its specifications and measurements, and will also come with the purchase of the stone. AUD 48,162 Excl. Duties / Taxes. This Triangular diamond is 4 carat in weight, and comes with Very Good polish and Very Good symmetry, as verified from an independent gemological laboratory. The diamond is graded F in colour, and has a clarity grade of SI1. The diamond's IGI grading report number is F6A38375, which will detail further its specifications and measurements, and will also come with the purchase of the stone. AUD 2,046 Excl. Duties / Taxes. This Baguette diamond is 0.58 carat in weight, and comes with Very Good polish and Very Good symmetry, as verified from an independent gemological laboratory. The diamond is graded I in colour, and has a clarity grade of VS1. The diamond's IGI grading report number is 296728238, which will detail further its specifications and measurements, and will also come with the purchase of the stone. AUD 4,462 Excl. Duties / Taxes. This Trilliant diamond is 1 carat in weight, and comes with Very Good polish and Very Good symmetry, as verified from an independent gemological laboratory. The diamond is graded F in colour, and has a clarity grade of SI2. The diamond's IGI grading report number is S3A51513, which will detail further its specifications and measurements, and will also come with the purchase of the stone. This Baguette diamond is 0.73 carat in weight, and comes with Very Good polish and Very Good symmetry, as verified from an independent gemological laboratory. The diamond is graded I in colour, and has a clarity grade of SI1. The diamond's IGI grading report number is 134460402, which will detail further its specifications and measurements, and will also come with the purchase of the stone. AUD 3,772 Excl. Duties / Taxes. This Baguette diamond is 0.88 carat in weight, and comes with Very Good polish and Very Good symmetry, as verified from an independent gemological laboratory. The diamond is graded I in colour, and has a clarity grade of IF. The diamond's IGI grading report number is 296728240, which will detail further its specifications and measurements, and will also come with the purchase of the stone. AUD 6,487 Excl. Duties / Taxes. This Triangular diamond is 1.06 carat in weight, and comes with Very Good polish and Good symmetry, as verified from an independent gemological laboratory. The diamond is graded J in colour, and has a clarity grade of SI1. The diamond's IGI grading report number is 274712283, which will detail further its specifications and measurements, and will also come with the purchase of the stone. AUD 3,721 Excl. Duties / Taxes. This Triangular diamond is 0.93 carat in weight, and comes with Good polish and Good symmetry, as verified from an independent gemological laboratory. The diamond is graded F in colour, and has a clarity grade of SI1. The diamond's IGI grading report number is 324810077, which will detail further its specifications and measurements, and will also come with the purchase of the stone. AUD 3,339 Excl. Duties / Taxes. This Trilliant diamond is 1.02 carat in weight, and comes with Very Good polish and Very Good symmetry, as verified from an independent gemological laboratory. The diamond is graded J in colour, and has a clarity grade of SI1. The diamond's IGI grading report number is S2H66628, which will detail further its specifications and measurements, and will also come with the purchase of the stone. This Trilliant diamond is 1.21 carat in weight, and comes with Good polish and Good symmetry, as verified from an independent gemological laboratory. The diamond is graded I in colour, and has a clarity grade of SI1. The diamond's IGI grading report number is S3F12947, which will detail further its specifications and measurements, and will also come with the purchase of the stone. AUD 14,576 Excl. Duties / Taxes. This Triangular diamond is 1.52 carat in weight, and comes with Very Good polish and Very Good symmetry, as verified from an independent gemological laboratory. The diamond is graded H in colour, and has a clarity grade of SI2. The diamond's IGI grading report number is 274712282, which will detail further its specifications and measurements, and will also come with the purchase of the stone. This Half Moon diamond is 1.1 carat in weight, and comes with Good polish and Good symmetry, as verified from an independent gemological laboratory. The diamond is graded H in colour, and has a clarity grade of SI1. The diamond's IGI grading report number is 234628645, which will detail further its specifications and measurements, and will also come with the purchase of the stone. AUD 9,241 Excl. Duties / Taxes. This Half Moon diamond is 1.17 carat in weight, and comes with Good polish and Good symmetry, as verified from an independent gemological laboratory. The diamond is graded G in colour, and has a clarity grade of SI2. The diamond's IGI grading report number is 234628644, which will detail further its specifications and measurements, and will also come with the purchase of the stone. AUD 7,781 Excl. Duties / Taxes. This Triangular diamond is 1.29 carat in weight, and comes with Very Good polish and Very Good symmetry, as verified from an independent gemological laboratory. The diamond is graded J in colour, and has a clarity grade of SI1. The diamond's IGI grading report number is 274712284, which will detail further its specifications and measurements, and will also come with the purchase of the stone. AUD 22,685 Excl. Duties / Taxes. This Trilliant diamond is 4.53 carat in weight, and comes with Very Good polish and Very Good symmetry, as verified from an independent gemological laboratory. The diamond is graded I in colour, and has a clarity grade of SI2. The diamond's IGI grading report number is 204660855, which will detail further its specifications and measurements, and will also come with the purchase of the stone. AUD 11,197 Excl. Duties / Taxes. This Trilliant diamond is 2.01 carat in weight, and comes with Very Good polish and Good symmetry, as verified from an independent gemological laboratory. The diamond is graded F in colour, and has a clarity grade of SI2. The diamond's IGI grading report number is 279764176, which will detail further its specifications and measurements, and will also come with the purchase of the stone. AUD 21,674 Excl. Duties / Taxes. 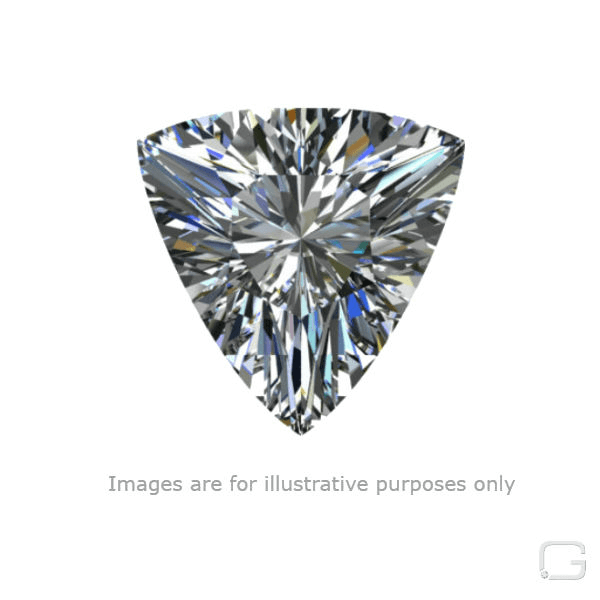 This Trilliant diamond is 3.05 carat in weight, and comes with Good polish and Good symmetry, as verified from an independent gemological laboratory. The diamond is graded G in colour, and has a clarity grade of SI2. The diamond's IGI grading report number is 279763680, which will detail further its specifications and measurements, and will also come with the purchase of the stone.